I chose this item because I bring food our. We give one of these plates away when we do diabetic or weight loss education. 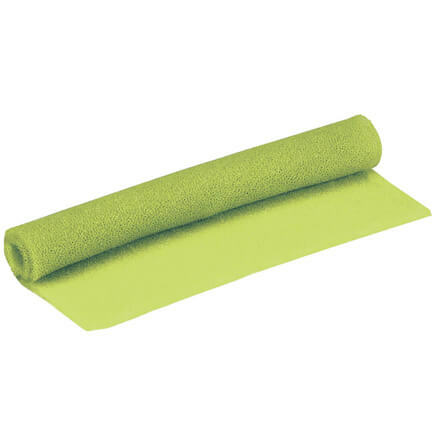 They are the exact size we suggest our patients use at home. We've gotten lots of good feedback about how valuable these are for our clients. Need these to take my dinners to work. I purchase a set of these to try and absolutely love them! I cook a lot and make up my own t.v. dinners. Been looking for these to make my own TV dinners from leftovers. I love the divider plates they are great to use for my granddaughters. Leftovers seem to be pretty much invisible to teens. But when reheating is made simple, and they only have to grab a plate and put it in the microwave suddenly leftovers can be seen and eaten. 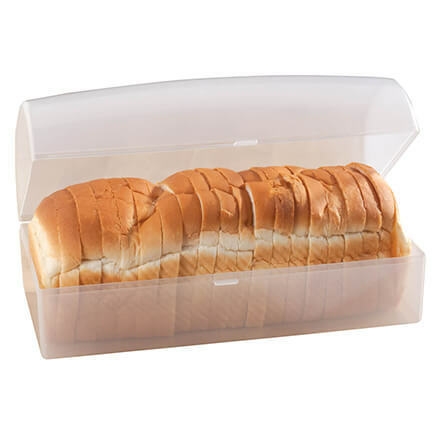 These are ideal for storing leftovers. I highly recommend them. Great use for setting up meals for elderly parents. to have food frozen then heated for nights when we are tired. What a better way to save leftovers. I like to share an especially good meal with my daughter. This is an easy way to take her lunch on the job. Will make it easy to prepare food for my elderly mother. for student in my severe disabilities class. As a teacher I have to prep their lunch each day to meet their individual needs. They are great for keeping leftovers in the fridge! It is convenient when going away from home for the day. I can put it in a bag and take it on the go. Also I can bring a meal to a friend that has been prepared. 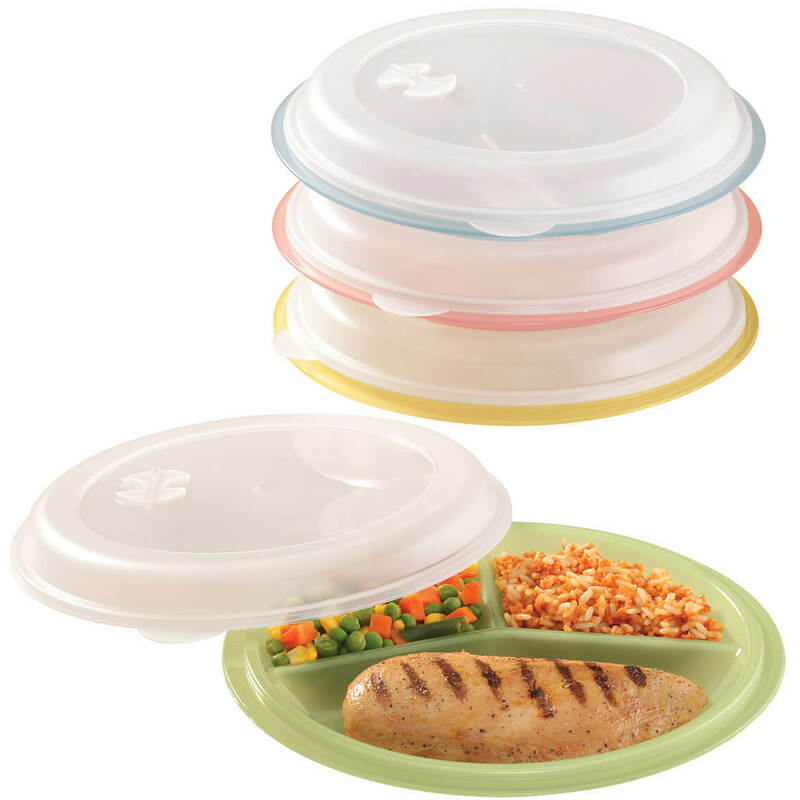 Plates with separate compartments keeps food from combining. I care for a parapalegic Son. And I have to leave dinners for my Boyfriend. The main reason I chosed your company is the prices are right and the quality is wonderful. Also, there are some items in your book I am not able to find in the stores. This is my second order. 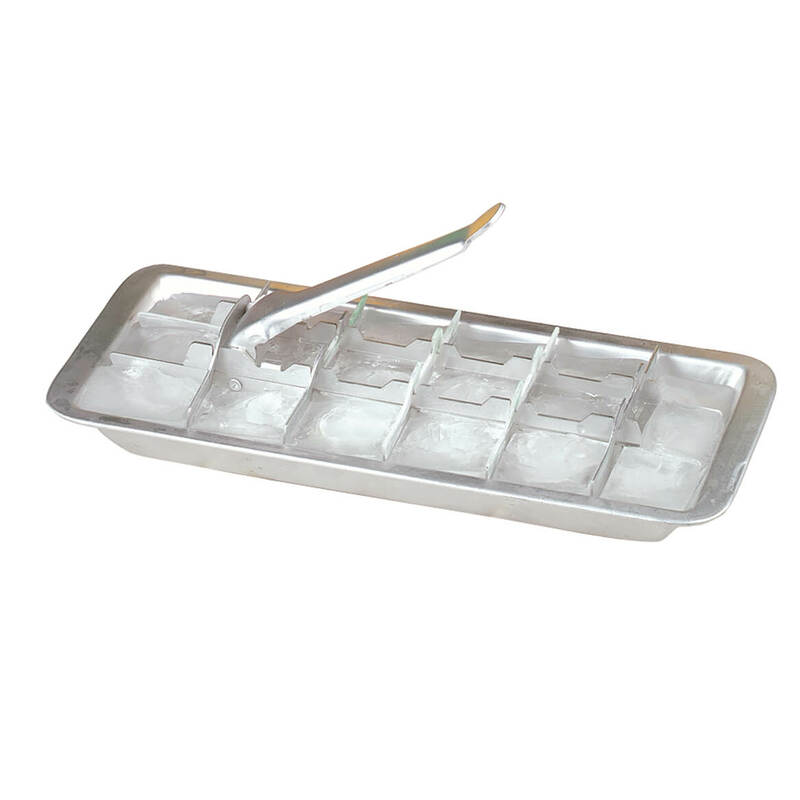 I use them to freeze leftover food for lunch/dinner. The divided compartment holds the right amount of food for a good meal. So I can prepare meals for my dad and freeze them. Handy for making meals ahead of time. You can store an entire meal in one plate. I have a set and nothing can beat them, take your left over from dinner or lunch and freeze and take one out when you don't feel like cooking, I would recommend them to anybody, my son took a couple so I ordered some more ! Love them ! To take home Thanksgiving leftovers, we need to bring our own containers. These are perfect! Want to take leftovers to work. Had ordered these from Miles Kimball years ago and they still are in great shape. The problem is my daughter keeps wanting to take them home and I never see them again. Was happy to see the offer with no shipping today. For taking leftovers to work. Can the divided plates and food storage containers go in the freezer? BEST ANSWER: I have not used them in the freezer, but they are not air tight. There is a little vent in the top. I imagine that freezing them for any length of time would cause freezer burn. Thank you for your question. The plates are freezer safe. We hope this information will be of help to you. yes they can go in the freezer. how deep are the compartments in the plates? BEST ANSWER: Thank you for your question. They are about 3/4". We hope this information will be of help to you. The compartments are not real deep but are deep enough. 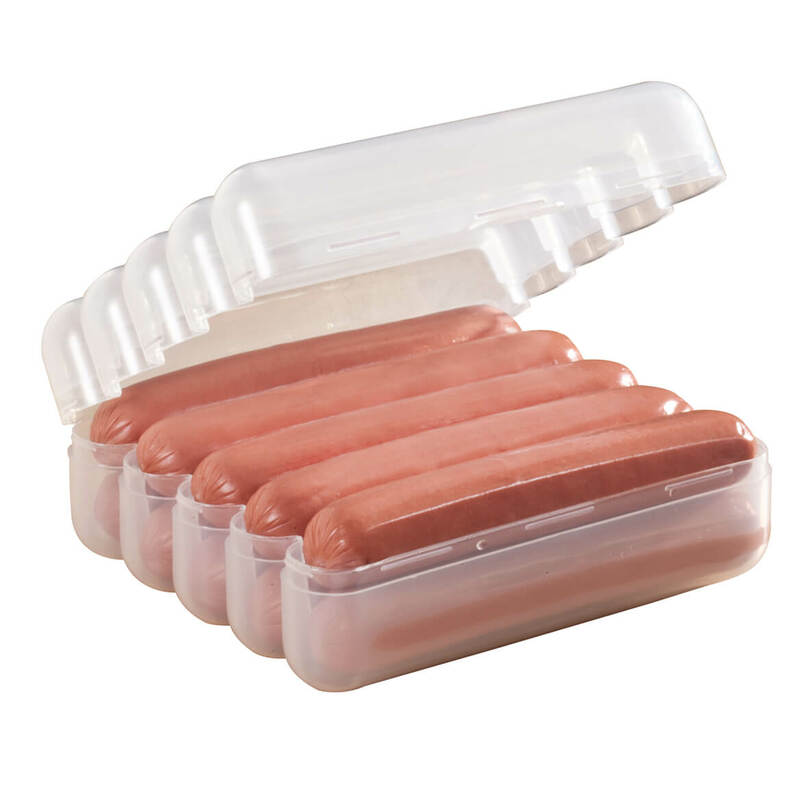 They are very similar to a frozen dinner tray you would buy. We use them alot for transporting dinners to my parents. They are perfect! 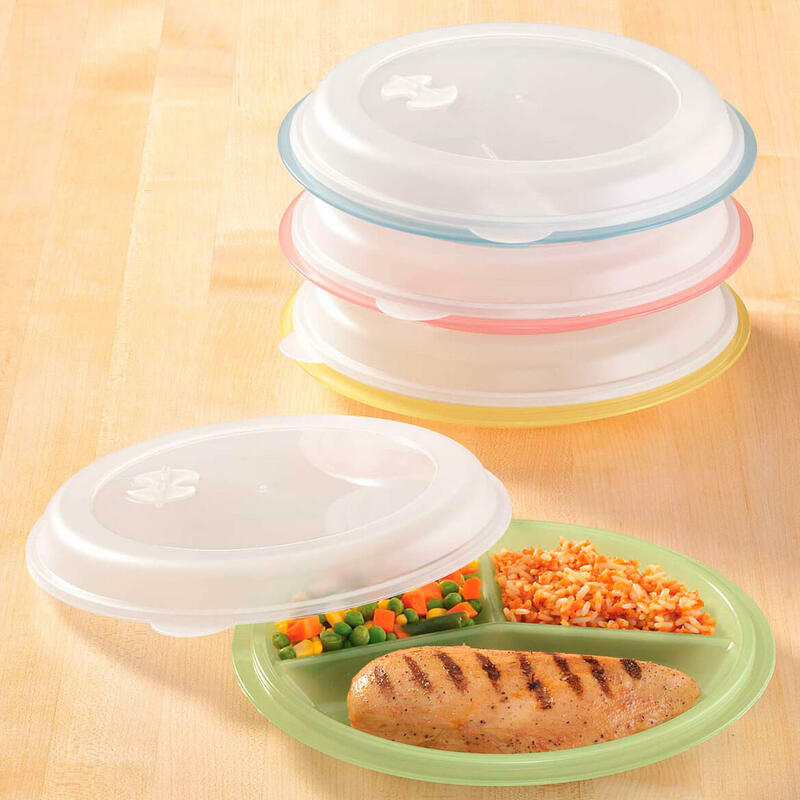 The lids can also be used to cover other plates when reheating food. Can you tell me if these dishes are BPA free? Many thanks! BEST ANSWER: Thank you for your question. These are BPA and melamine free.We hope this information will be of help to you. 303973 are this plates microwavable? BEST ANSWER: Thank you for your question. Yes, this item is microwavable safe. We hope this information will be of help to you. Are the divided plates BPA free? BEST ANSWER: Thank you for your question. Yes, these plates are BPA free. We hope this information will be of help to you. Do you carry glass "divided 8in. 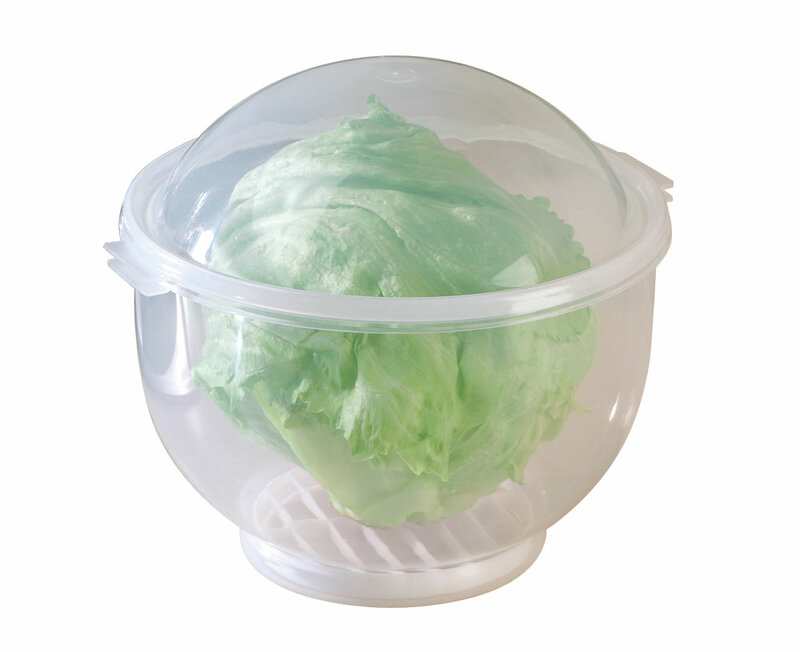 food storage containers with lids"? BEST ANSWER: Thank you for your question. No, we do not offer glass containers. We apologize for any inconvenience this may have caused.